Turn your mobile phone into an adorable piece of artwork by covering it with a DecalGirl device skin illustrated by Fluff. Fluff has been making cute retro themed collections of bags and accessories like coin purses, key chains, wallets, and more. Now you can bring Fluff’s designs to your phone (or laptop, tablet, or gaming device for that matter) with her brand new DecalGirl skins. 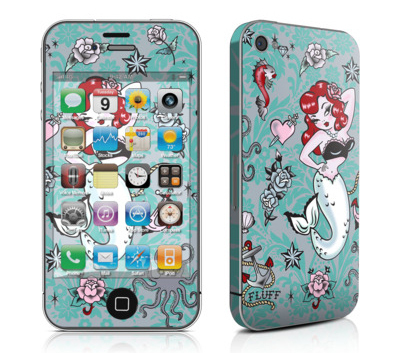 Turn your phone into a vintage pinup and tattoo inspired aquatic world. And theme all your on-the-go essentials with other items from the Molly Mermaid collection. 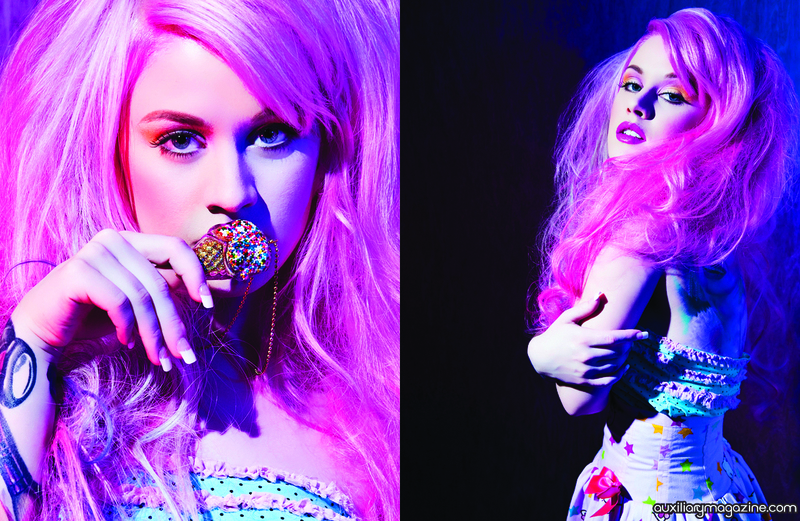 The Molly Mermaid Mobile Phone Skin is available for around $10 (depending on the device) at www.decalgirl.com.